Rabat - Minister of Health Anas Doukkali has introduced an action plan to promote mental health in Morocco. Rabat – Minister of Health Anas Doukkali has introduced an action plan to promote mental health in Morocco. At the House of Representatives, Doukkali declared that mental health is a priority and presented the ministry’s plan at the House of Representatives, according to state-owned media outlet Maghreb Arab Press. Doukkali revealed to Parliament some alarming statistics about mental health in Morocco. According to his report, 40 percent of Moroccans suffer from mental disorders, 26 percent from depression, and 1 percent from schizophrenia. The minister also emphasized the lack of structure and human capital as Morocco only has 0.67 beds allocated for mental health per 1,000 inhabitants. According to the minister, Morocco has in total only 290 psychiatrists, 5 pedopsychiatrists, and 1,069 nurses trained in psychiatry. The Ministry of Health, according to Doukkali, seeks to increase and broaden mental health care by creating new specialized departments in public hospitals and using therapeutic alternatives outside of hospitals. Doukkali’s action plan consists of improving psychiatry and psychology services, enlarging mental healthcare coverage, and offering less costly services. The ministry has begun building psychiatric hospitals in Agadir; Kenitra, a city near Rabat; and Beni Mellal, a city near Casablanca. The hospitals will each contain specialized departments for children, teenagers, and individuals fighting addictions. Doukkali also said he would focus on trainings in the mental health sector to train 30 psychiatrists and 10 child mental health psychiatrists per year. 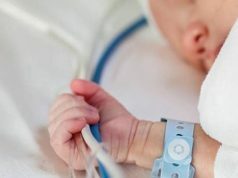 The ministry has opened new departments in Marrakech University Hospital specialized in children’s health care. The minister declared that he would work towards mental illness prevention as well by investigating the causes of violence in schools, workplaces, and in the family. The need for improvements to Morocco’s mental health facilities hit home last year. In 2017, the Ministry of Health issued a shocking report that 50 percent of Moroccans suffer from mental or psychological disorders. The report led many to question how the country is still standing. Morocco, in 2017, had only 197 psychiatrists for a population of over 35.28 million. On average, only 0.63 psychiatrists are available per 100,000 people. Although the number of psychiatrists increased this year by 100 according to Doukkali, the impact is not significant on the population. 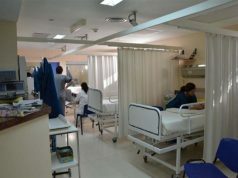 Hassan Kisra, director of Errazi Mental Health Hospital in Sale, told Morocco World News in an interview last year that his hospital is not equipped for the high demand. Doctors must waitlist patients who cannot be hospitalized immediately because there are not enough beds. Patients coming to the hospital from other regions are hard hit by the need to wait, due to the lack of mental health hospitals across the country. With 41.3 percent of the population living in rural areas with unstable income and no mental health facilities around, the situation is only expected to worsen if the ministry does not take urgent measures. Indeed, a 2017 report from the World Health Organization, found that cases of depression increased by 18.4 percent and cases of anxiety by 14.9 percent in only 10 years. 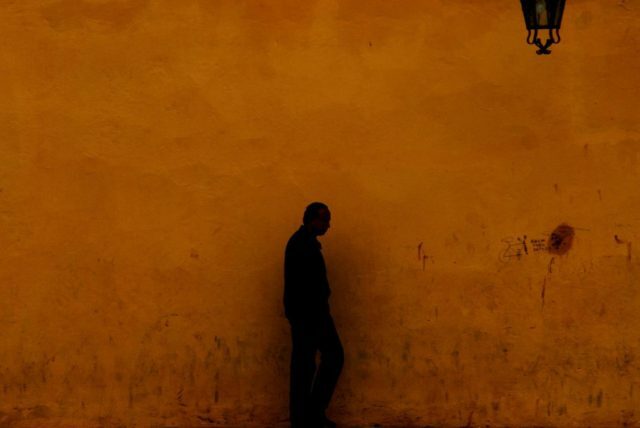 Psychiatric doctor Mohamed El Baroudi told Morocco World News last year that the increasing pressure of modern life might very well be a factor in rise of mental health issues. He also stated that untreated childhood traumas play a big role. Dr. El Baroudi confessed that he has seen a dramatic increase in instances of pedophilia. Last year, he was receiving approximately five victims of pedophilia per day at the Souissi Children’s Hospital in Rabat. Another reason for the increase might also be the alarming rates of drug addiction in Morocco. In 2017, over 600,000 Moroccans were addicted to substances. As many as 16,000 were addicted to hard drugs, such as heroin and cocaine according to study conducted by the Biochemistry, Nutrition, and Cellular Biology group in affiliation with Casablanca’s Faculty of Medicine and Pharmacy. Over 70 percent of those addicted to hard drugs are young people aged 18 to 28. According to Hassan Kisra, the most common cases he treats at the mental health hospital are children with Attention Deficit Hyperactivity Disorder (ADHD), schizophrenia, bipolar disorder, depression, anxiety, and phobias. 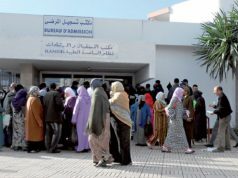 Looking at the chaotic state of the Moroccan mental health sector, the Ministry of Health’s measures, if implemented, will be welcomed by the Moroccan public. Doukkali’s action plan and promises are a step in the right direction, but it remains to be seen whether it will significantly impact the sector.